There are three main credit reporting agencies, Equifax, Experian and TransUnion, but 90% of the information they have is common. 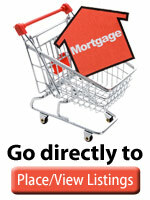 A mortgage lender typically orders all three reports. Click here for your TRULY free credit report with no strings attached. When you first receive your credit reports, you may find them difficult to read. You can refer to our guide to interpret the codes on the credit report. Study the credit report until you understand what each code means. You must monitor your credit report regularly to prevent the appearance of bad credit. This can come from fraud, or human error at the credit bureaus or creditors when entering the data. The information on a credit report from another vendor may be coded in a way that is not immediately readable by the average consumer. 2. Dispute credit report listings which you feel are unfair or inaccurate with the credit bureau. Always state whether the disputed listing is being challenged as “not mine” or “not late.” The credit bureau must know if you are disputing the existence of the listing or just the information within the listing. If you are unclear about the nature of your dispute, the credit bureau will promptly return your letter. Tell the credit bureau what you want them to do. You must always state what you would like done with the listing. There are two options: delete the entire listing or erase the late pay notations within the listing. Provide a reason for your dispute. 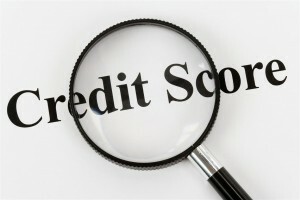 If you don’t give some kind of explanation as to why you think the credit report is wrong, then the credit bureau may return or ignore your dispute. A cancelled check showing the payment was made on time, a satisfaction of judgment or a letter from the creditor agreeing you paid on time are examples. Be firm but not obnoxious. The credit bureaus receive thousands of disputes every day. Don’t give the human being who will be looking at your complaint a reason to hate you. If the credit bureau believes that you are attempting to “play the system” to restore your credit, your dispute will be tossed into the “frivolous or irrelevant” bin. Review your credit reports early. Start early and get your credit report cleaned up early. It can take 30-60 days to have a wrong item removed or corrected. Send your complaint letter by Certified Mail. This way you have proof the Credit Reporting Agency got it. 3. Dispute the listing with the creditor who reported it. Under the FCRA, (Fair Credit Reporting Act) the creditor is responsible to adhere to proper procedure in verifying consumer disputes You should take your challenge to the creditor by writing letters directly to that creditor. If you still owe money on the credit item in question, it is sometimes possible to use a technique known as “debt settlement” to reduce your payoff AND to accomplish the removal of the negative listing. Debt Settlement requires that you or your attorney negotiate with the creditor to take a lesser amount and agree to show the debt as paid. 4. The best way to have great credit is to pay your bills on time. Be honest. Would you want to lend your money to someone with a proven record of not paying back other people? Credit repair scams. There are many companies out there that claim they will clean up your credit. In most cases you can save their fee and do it yourself. See above. While they claim to be not-for-profit organizations, that does not mean they don’t pay the owners very FAT salaries. Credit removal scams. There are some companies who claim they can eliminate your credit card debt as it is illegal for credit card companies to offer credit. (Or similar nonsense). They claim that corporations are not PERSONS so they can’t offer credit. Corporations are considered to be legal persons under USA law, they have the right to sue, to lend money and most certainly can demand it back!